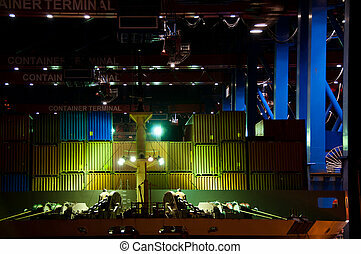 Cargo ship by night. 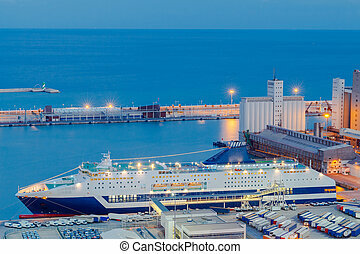 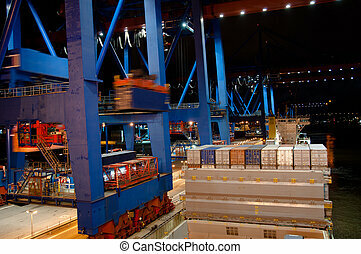 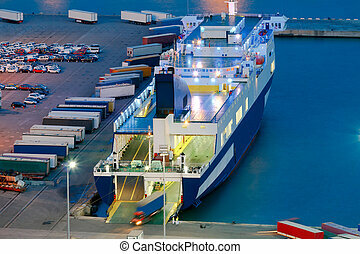 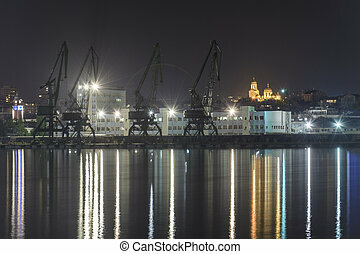 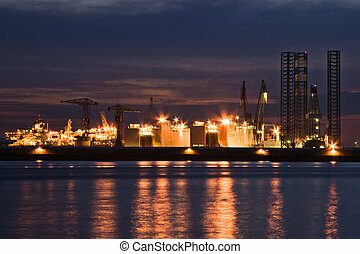 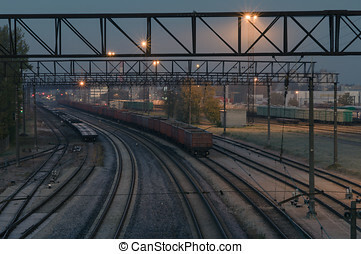 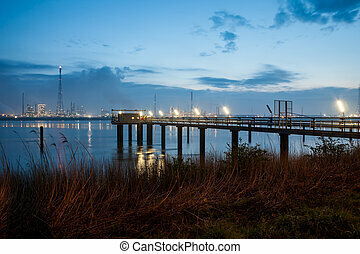 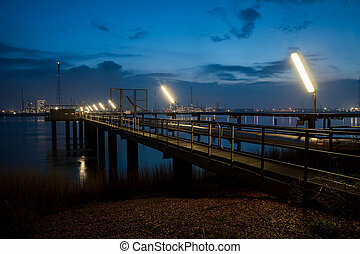 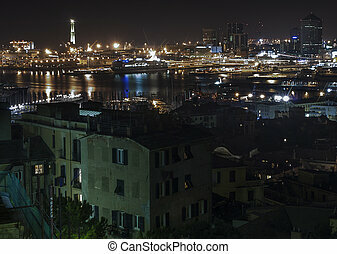 Cargo ship at dock by night panorama. 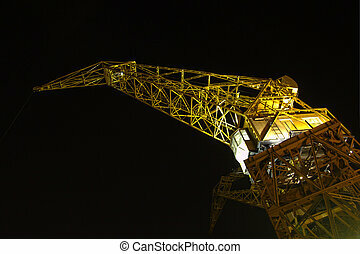 Port crane iluminated by night. 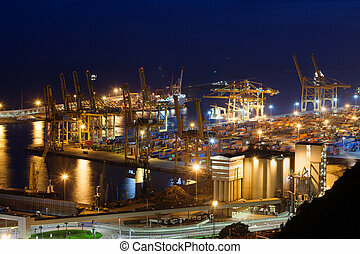 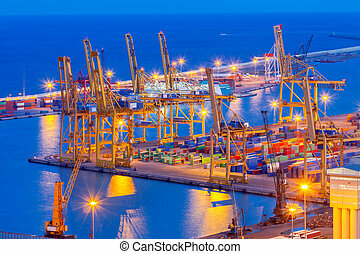 View cargo port and large cranes in Barcelona from Montjuic hill. 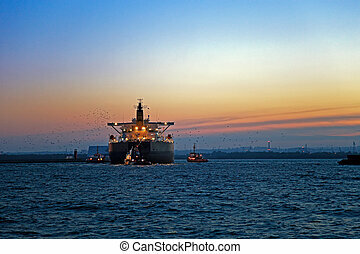 Work at sea after sunset - a cargo ship enters the port, escorted by tugboats.